A woman who suffered a horrific spinal injury in an auto crash has recently been awarded a $71 million jury verdict. In this issue, we’ll talk about what happened in the crash and about spine injuries in general. The woman was a passenger in a vehicle driven by a friend who fell asleep at the wheel. The car crashed into a minivan, killing one of its passengers – a 94-year-old woman. The woman, then a student at Cornell University, was unable to complete her education because of spinal injuries that left her with no feeling in her lower legs. Confined to a wheelchair, she was unable to navigate the campus. While she is able to slightly walk with the use of leg braces, she most likely will be unable to walk at all later in life. A former skier, runner and sailor, the woman will never again have feeling in her feet. At the conclusion of the 3-week trial, the jury ruled against the driver who fell asleep and awarded the woman $71 million. It’s one of the largest awards ever given in the country for this type of injury. As said in a previous entry, the spine may be rather small but it’s crucial to so many other parts of our bodies. Measuring roughly 18-inches, the spine relays signals throughout the body to coordinate senses, mobility, and reflexes. 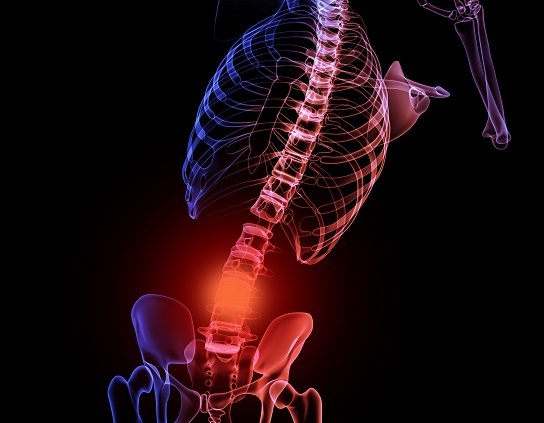 Sudden blows to the back from auto accidents or slips and falls are the most common causes of back and spinal injury. Have You Experienced a Spinal Injury in Alaska? Let Barber & Associates Fight for Your Rights! As the story above clearly shows us, injuries to the spinal cord are extremely serious and can cause permanent damage. If you’ve experienced a spine injury as a result of someone else’s negligence, it’s imperative that you speak with a skilled lawyer about your rights for compensation. Get in touch with us here at Barber & Associates; the first consultation is always free! You can reach us at 800-478-5858 or via email.